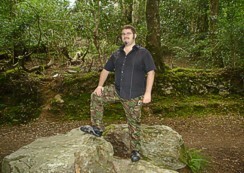 The Kilminorth Woods, near Looe. The Kilminorth Woods, located between Looe and Watergate, are an ancient forest land with diverse flora and fauna. 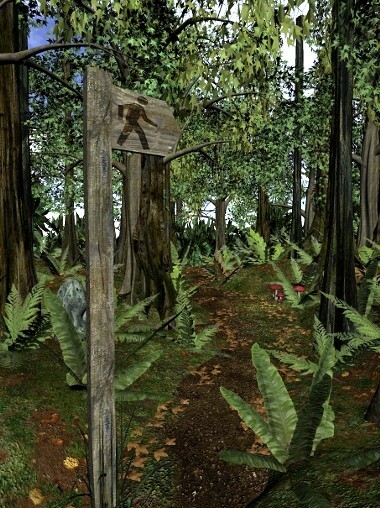 As you play Barrow Hill, picking berries and nuts as you go, keep in mind that many people have performed the same rituals as they pass through these deep woodlands. As an inspiration for the woods surrounding Barrow Hill, Kilminorth proved to be perfect in tone and legend. An ancient monument, known as 'The Giants Hedge' stretches across the wooded hillside, and far away to the village of Lerryn. It is thought to be the boundary of a once great Cornish kingdom, of which no signs remain today. From the earthy steps to the ferny paths, Kilminorth is represented in Barrow Hill as closely as possible. Even Barrow Hill's nocturnal setting was influenced by the woods nighttime persona. Matt Clark was fortunate enough (or unfortunate enough!) 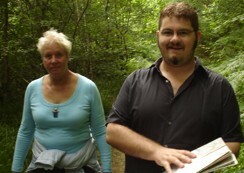 to spend a creepy evening in the woods, searching for ghosts with the paranormal group known as 'This Haunted Land'. Their findings were quite startling, and have become local urban legend. Whether Matt believes in ghosts, or not, that night certainly encouraged him to add a little extra creepiness to the dark woods of Barrow Hill. If you go down to the woods tonight...be sure to take a flashlight! Left: A winding pathway from Barrow Hill. Right: One of Kilminorth Woods many trails, which doesn't seem to go anywhere! 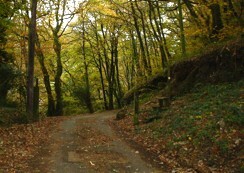 Getting there: Kilminorth Woods are located to the North of West Looe, at one end of the bridge. 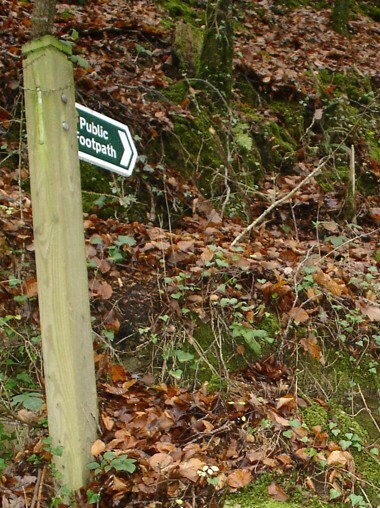 The woods offer several walks, all neatly signposted and differing in length/difficulty. A solid path runs into the woods from a small layby (for cars) affording wheelchair access and easy exploration. Before entering the wood, read the large stone information board to learn about the woods unusual history, flora and fauna. Map interests: The Giants Hedge (ancient earthwork/monument) is clearly labeled, as is the main footpath through the forest. Try to ignore the big words saying "Sewage Works"?! They are located outside the woodland, and are never seen.